Recently, I decided to revisit a movie I remember loving as a child. I was curious to see how it held up, if it held up, and if my opinion of it has changed in the intervening years. 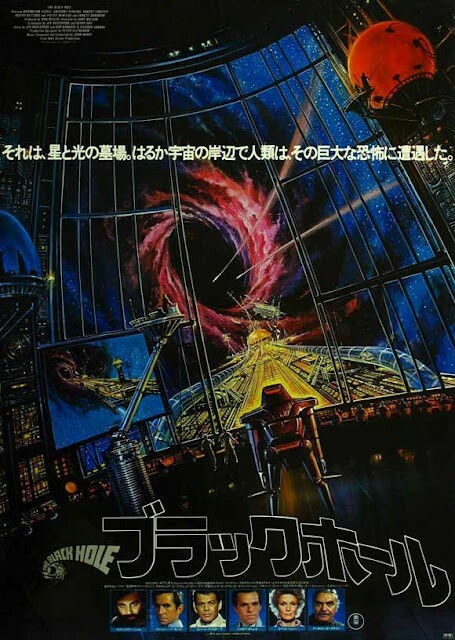 The movie is none other than Disney’s 1979 science fiction epic, The Black Hole. Burned into my memory since my youth are the robots, the floating VINCENT, the malevolent Maximilian, the swirling of the black hole, and, of course, that rolling, flaming meteor that threatened to eliminate our intrepid heroes as we steamed towards the climax. Now, I have seen the film a few times over the years, but I cannot recall the last time i saw it. I was also sad to discover that I did not have it in my collection (thankful for the local library). Watching The Black Hole as an adult, I find that I still love it, possibly more than I did as a child. I also see just how strange a film it is. How many family films from Disney have you ever seen that literally take you into the fiery pits of hell? Probably not that many. Being released in 1979, it seems pretty clear that Disney was trying to cash in on the success of Star Wars. It has some of that feel in the look, the robot Maximilian appears right out of the Darth Vader playbook, VINCENT is like a floating R2-D2, and the robot sentries could be confused for black clad stormtroopers. Beyond those obvious similarities, the makers appear to be attempting to channel the intelligent nature of 2001: A Space Odyssey (although the results are mixed and characters end up sounding pretentious or simply trying to demonstrate their intelligence). Again, watching through adult eyes, I now see something else entirely. This is more than a blood relative of two of the greatest science fiction films of all time (despite its decided lack of actual science), look past the comic relief, past the laser battles, and past the trappings of stars, spacecraft, and technology. What do you see? I see a gothic horror film, a foreboding mansion, large open corridors, lot of sharp angles and long shadows, all presided over by a mad scientist, served by faceless ghouls ready to do his bidding, and looking to execute an insane plan that is sure to spell demise to anyone in the vicinity. Do you see it? It is clear to me now. Long before Paul WS Anderson took us on a space flight to hell with Event Horizon, Gary Nelson took as into the depths space, only to plunge us headlong into hell itself. It seems a strange project for Nelson, who spent most of his career, before and since, on the small screen. His biggest success to this point must have been Disney’s Freaky Friday. On a sidenote, it appears he also directed (uncredited), at least portions, of Sylvester Stallone film, Nighthawks. In any case, he did a fine job crafting this undercover horror as an overt space adventure. 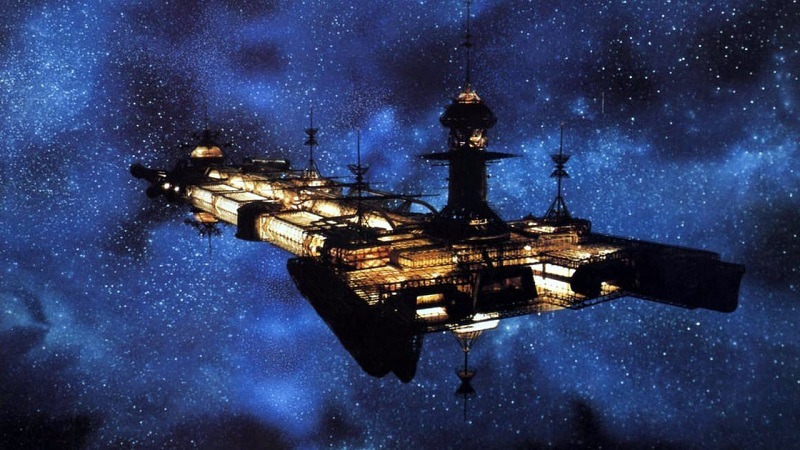 As the film begins, we join the crew of the USS Palomino (highlighted by Robert Forster, Anthony Perkins, and Ernest Borgnine) as they discover the largest black hole they’ve ever seen. As they look on in amazement, they see something else, a ship, precariously perched on the edge of the powerful void. The ship is the long lost USS Cygnus. As luck would have it, the damaged Palomino is forced to dock with the Cygnus. The crew leaves the ship to explore and soon they are face to face with Dr. Hans Reinhardt (Maximilian Schell), the mad scientist of the piece. The movie has very little action until we get to the last act and not much adventure. It is more about our heroes trying to figure out what is going on while being menaced by the scenery chewing Reinhardt and his horde of silent robotic ghouls. All the while we are treated to the gorgeous production design, the big open halls, the long shadows, you cannot deny the film is dripping with beautiful menace. Add the bonus of John Barry’s score, which adds plenty of dark atmosphere and you might as well be in the midst of a classic horror film. The story is pretty simple, the mad doctor is content to be left alone to work on his plan to fly into a black hole to prove that he can. Our heroes are interlopers to be dealt with in whatever way necessary so as to not disrupt the plan. 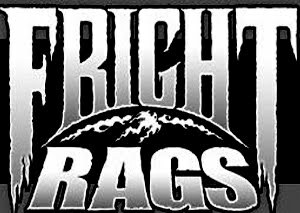 Our intrepid crew’s goal becomes to merely survive, the goal of a horror movie, not a space adventure. As the film nears its conclusion, it gets seriously weird. I really don’t want to give it away, but it is a conclusion that brings a definitive end to some, but also a new beginning for others. It is left to the viewer to interpret what happens, as it is purely visual with no dialogue to be had. The Black Hole is stranger film than I remember, and I think I love it more now than I did then. It takes a number of influences and mashes them together to form something decidedly different. It is scary, exciting, and haunting. It belies the Disney moniker that it opens with and leaves a mark at its conclusion. It creates a new world that draws you in and once you get past the obvious family friendly elements, like VINCENT, there is a lot to like and wonder about in this world. Revisit it, you may be surprised by what you find. Trivia: Captain STAR, the black clad sentry on the target range is played by Tom McLoughlin, who went on to write and direct Jason Lives: Friday the 13th Part VI and direct the Stephen King adaptation Sometimes They Come Back, among others.